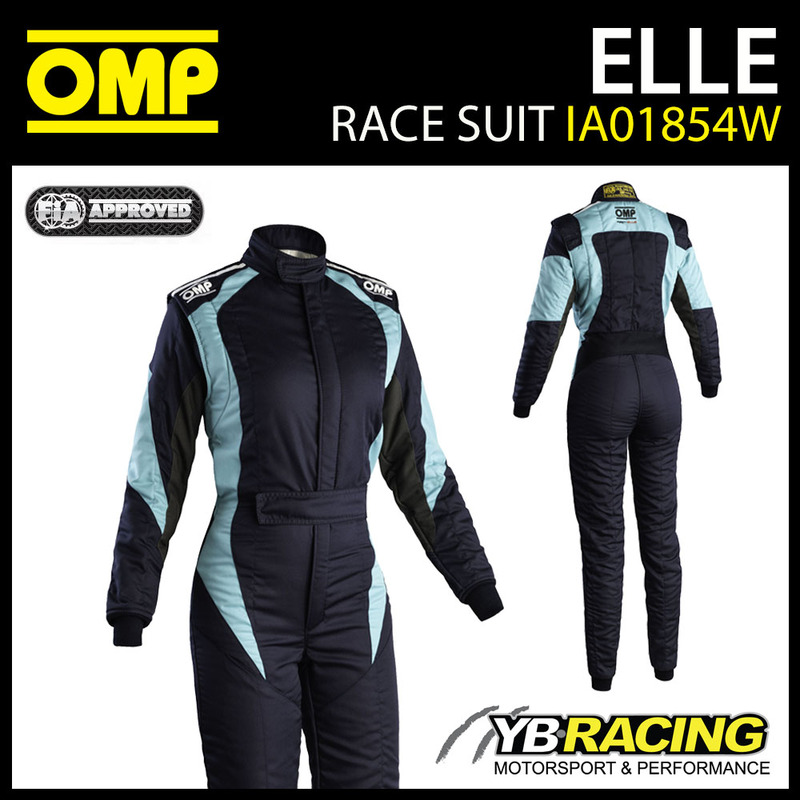 The First Elle Racing Suit is shaped just for Ladies. 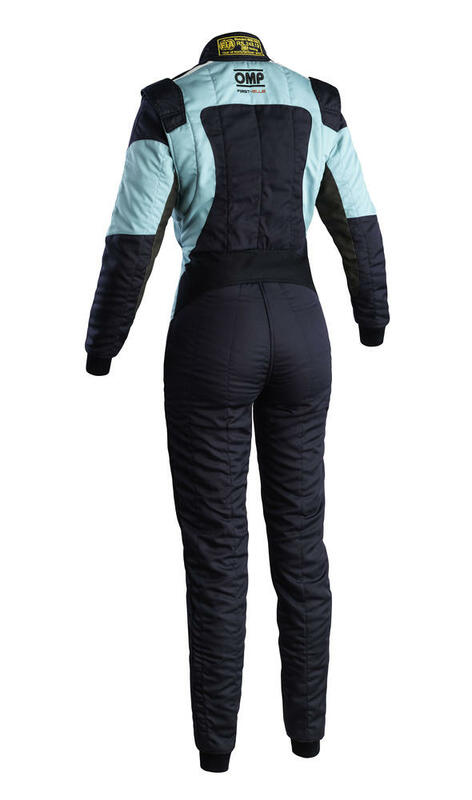 Two-layer overall with modern two-tone design featuring an excellent quality/comfort/price ratio. External layer in aramidic fiber for high use and washing resistance, inner fabric in soft knitted material. Floating sleeves, antirubbing ultra flat seams. Elastic inserts on the back and on the groins for better comfort and flexibility. Breathable inserts on the sleeves. Manufactured entirely in Italy. Attention to detail, choice of innovative materials and modern design. The italian quality of thirty years' experience in the production of racing wear for the best drivers in the world. 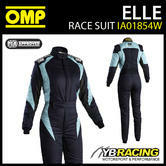 Description: The First Elle Racing Suit is shaped just for Ladies. Two-layer overall with modern two-tone design featuring an excellent quality/comfort/price ratio. External layer in aramidic fiber for high use and washing resistance, inner fabric in soft knitted material. Floating sleeves, antirubbing ultra flat seams. Elastic inserts on the back and on the groins for better comfort and flexibility. Breathable inserts on the sleeves. Manufactured entirely in Italy. Attention to detail, choice of innovative materials and modern design. 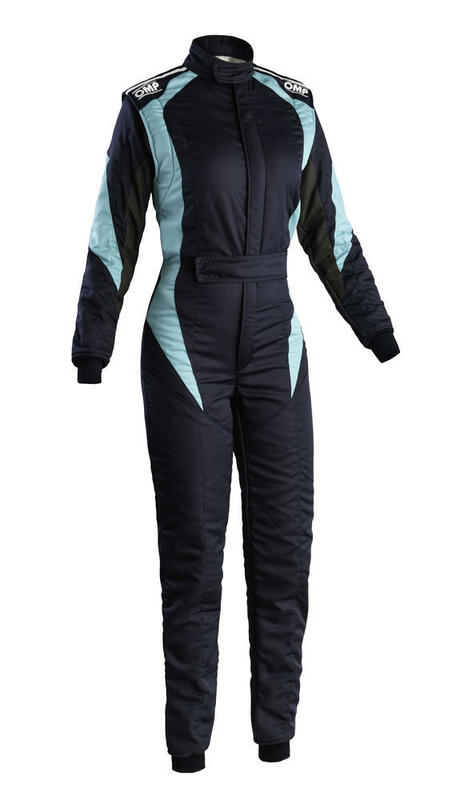 The italian quality of thirty years' experience in the production of racing wear for the best drivers in the world.